In a man-vs.-robot confrontation in California last week, the robot did what it was designed to do, and the intoxicated man ended up in jail, according to Mountain View police. On April 19 around 8:15 p.m., officers responded to Knightscope headquarters, in the 1000 block of Terra Bella Avenue, on reports of a prowler. 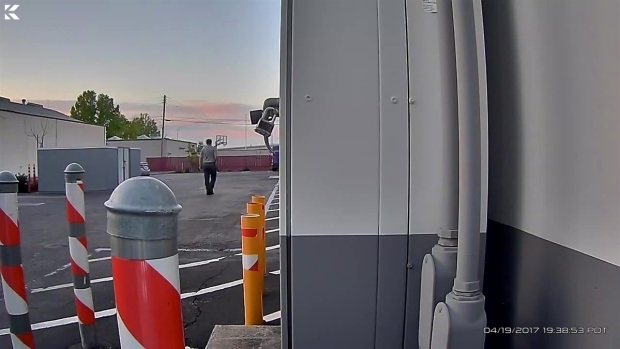 Surveillance video provided by the robot maker shows 41-year-old Jason Sylvain moments before police say he intentionally knocked over a 300-pound security robot. 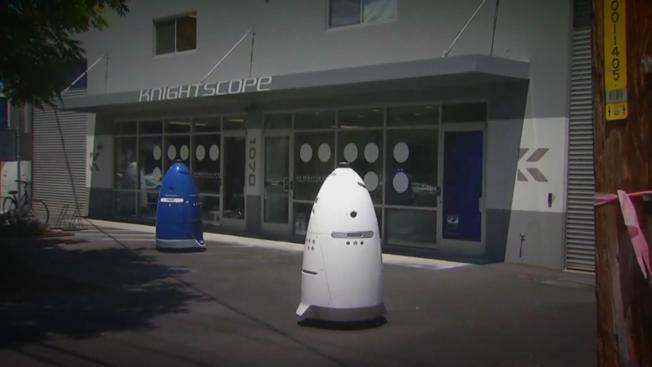 The robot was being tested outside the company offices when it sounded its alarm, and employees ran outside, Knightscope said. "We found a guy who just knocked over our robot," said company spokesman Stacy Dean Stephens. "He tried to get away, but we detained him and then we got Mountain View police on the phone. The bad guy learned the robot does security. It did what it was designed to do." Surveillance video provided by Knightscope in Mountain View shows a man accused of attacking a security robot. When officers arrived, Sylvain appeared confused, had red, glassy eyes and a strong odor of alcohol, police said. He was arrested for prowling and being drunk in public. Last year, a Knightscope robot made headlines after running over a toddler while working at Stanford Shopping Center. The child suffered minor scrapes and a sore foot. This time, the robot ended up with a few scratches, but Stephens said, "Everything is fine, none the worse for wear."